There are 47,000 abandoned mines in California, according to California's Office of Mine Reclamation (OMR). The OMR warns the public to stay out of the abandoned mines for safety reasons but that doesn' t stop prospectors from inspecting the mines. There are also more than 17,000 abandoned gold claims in California. Some believe that if a claim produced gold once it might still have some good gold left to mine. Obtain maps from the Office of Mine Reclamation (OMR). The State of California Department of Conservation's OMR office maintains a geological library that has maps of old gold mines and claims. According to Donald Drysdale, a spokesman for the department, the maps are not always specific but can put prospectors close to claim locations. Research claim ownership at the local county assessor's office. Many claims are on private property, according to Drysdale. However, some claims are on public property like federal parks or state lands. In such cases, once jurisdiction is determined prospectors can contact the proper state agency to file a new claim, if a claim has been abandoned. Contact the United States Geological Survey (USGS). 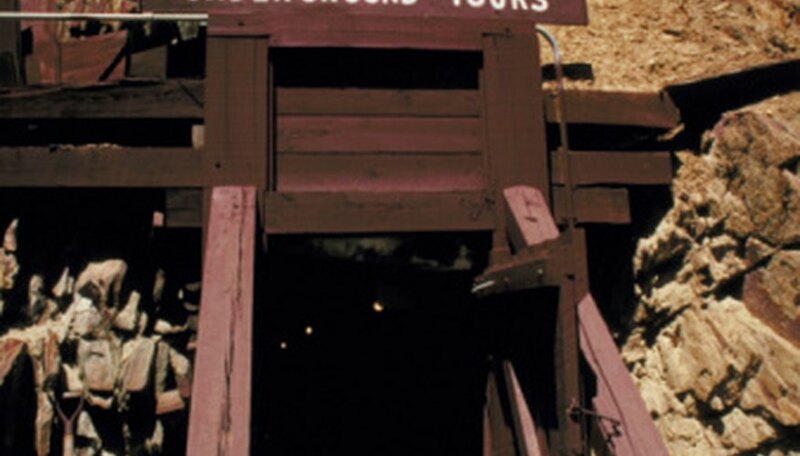 Abandoned hardrock mines include gold, silver, copper, lead, zinc and nickel mines. The USGS maintains a digital database of rivers, streams and mine related sites. The digital database is available on CD-ROM. Data from USGS and the former U.S. Bureau of Mines provides information on the location of most abandoned gold mines. Contact the Bureau of Land Managment (BLM). BLM keeps track of abandoned mines, as well as lode, placer, tunnel site, and mill site claims. Prospectors may check the availability of a claim by checking records at BLM. Claim owners maintain a claim by paying the appropriate fees yearly or requesting a waiver. It is illegal to mine a claim without claim ownership, permission from a claim owner, or the proper permits issued by the state of California. Because of 13 deaths and numerous injuries of people entering abandoned California mines, state agencies, mining associations and business organizations have worked together to bring awareness to the hazards of abandoned mines with the Stay Out Stay Alive campaign. Donald Drysdale, Spokesperson, California Department of Conservation, California.